Yahoo removed all references to CEO Scott Thompson's degree from his biography on its website. 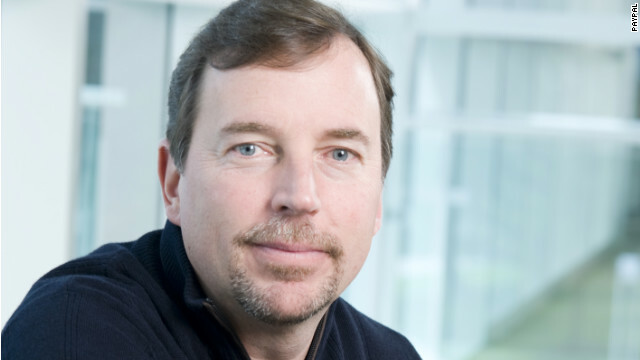 Yahoo CEO Scott Thompson does not have a bachelor's degree in accounting and computer science. Rather, he has a bachelor of science degree in business administration, with a major in accounting. The discovery that his resume was fudged a little has sparked a discussion among our writers and readers about the act of resume embellishment and what it says about a person. Résumé padding: inconsequential or inexcusable? One reader says some sins are of omission. jt99: "I have never padded my resume, but I did not include one item, which is on my resume now. I am a veteran, serving from 1968 to 1972. I the '70s and '80s, being an honorably discharged veteran was not viewed as a positive. I never denied my service during that time period, but I didn't make it a resume line item. I won't go into the issue any further." This person feels they got the raw end of the stick. Morgansher: "I never once padded my resume. It was unthinkable and unconscionable, but I am bitter about having lost out twice to people who lied on their resumes (for different jobs) and got the jobs I'd been applying for. The only consolation was learning years later that one of the people hired had been hiding a criminal record and that they embezzled nearly $350,000 before getting caught." We can't change it. We can't go around it. We have to walk straight through it together, as a family. More sad news: Meow, the 37-pound cat who captured the national spotlight, including his moment on this blog last Wednesday, died Saturday afternoon from respiratory distress, CNN affiliate KOAT reports. Anderson Cooper memorialized his late guest on his syndicated show's website. Was Elvis in good hands? Even the King of rock 'n' roll had insurance. A plastic rendering of a part of the male anatomy dangling from the back bumper of a pickup truck caught the attention of deputies in South Carolina. The driver tried to talk his way out of a ticket, but the deputies wouldn't play ball, CNN affiliate WYFF reports. We tend to really get so impressed with the latest gadget, the latest phone, the latest whatever it is, and we forget that all of the technology that built it came from the human brain. Yup, it sure was big and bright, and people all over the world shared what they saw via CNN's iReport. "The Avengers" blew away box-office records over the weekend, thanks in part to CNN iReporter Meagan Hoffman in Port Washington, Wisconsin. She saw the movie twice, Thursday at midnight and again on Saturday, despite not being a "comic book girl." She shared images and observations from Thursday night's blockbuster opening. OK, so he can't pronounce "Gibraltar," but a 13-year-old seventh-grader knew that a map of the Byzantine Empire he saw at New York's Metropolitan Museum of Art was wrong, and he let officials there know. Eventually, the museum admitted he was right. Sanford, Florida, neighborhood watch volunteer George Zimmerman is scheduled to be arraigned on a second-degree murder charge Tuesday in the February death of unarmed teenager Trayvon Martin. Meanwhile, a court in Peru will hold a hearing on whether to extradite convicted murderer Joran van der Sloot to the United States to face extortion charges. Greece's main center-right party has failed to form a coalition government Monday, adding yet more uncertainty to the debt-ridden country's political situation. New Democracy leader Antonis Samaras said he did "everything possible" to form a coalition, but that none of the parties agreed to join with his party, which won first crack at forming a government after finishing first in Sunday's parliamentary elections. It will now be up to the leftist Syriza coalition, which opposes unpopular austerity measures imposed to secure a European bailout, to form a government. That group will have three days to form a government. Charles Daniel was a troubled 13-year-old when he finally found a family that embraced him. He died of cancer two years later. Forest and Tremica Thompson brought reporter Wayne Drash and digital content producer Brandon Ancil into a very personal moment of their lives in January 2011: the last week of their adopted son's life. Charles Daniel battled brain cancer for two years, and then spent his last 19 days at George Mark Children’s House outside Oakland, California. Charles had come to live with the family in 2008, and received his diagnosis a few months later. The Thompsons invited CNN because they wanted to help other families going through similar ordeals. Readers told us they were touched by this story of a family sticking together in a difficult time, and we in turn were touched by their heartfelt responses. Some had lost a child, too. James Martinez: "Amazing parents and family. The death of a child is so unnatural, there's nothing you can do to prepare for it even when you know it will happen. You gave Charles a beautiful life and you were with him when he left this earth, there is nothing more important than your children knowing you stand with them and love them unconditionally. Our love for our children stands the test of time and is everlasting. Your son is with you still, just not present. Don't think of him as being in your past, think of him as being in your future. You will see him again. My young daughter's cancer journey lasted just four months. We were by her side every step of the way and she remained positive as did we even when the doctors told us her time was ending. She died on Thanksgiving Day 2011, just four months after being diagnosed with a rare form of ovarian cancer. A 5 year old girl with ovarian cancer is something you never expect to hear as a parent. We miss her, as you do Charles, and we struggle each day to make it through. We are anguished by her passing and are angry at everyone, from the doctors who were helpless to save her to God for letting this happen. We know time will ease our pain and temper our anger, but we will never be the same. I wish you peace and comfort. God Bless you. God Bless every family with young warriors battling cancer." Filed under: California • Health • Health Care • Overheard on CNN.com • U.S.
South Korean customs officials said they are cracking down on an operation that is smuggling in pills from China made from the flesh of dead babies, according to Korean media reports. Twenty-nine smugglers of "human-flesh capsules" have been arrested after trying to smuggle 11,000 pills into South Korea from China while disguised as tourists, according to The Korea Times. “Some put herbs together in the capsules so that customs agents cannot distinguish the unique smell and color of the human-flesh capsules," a Korea Customs Service official told the newspaper. "Others put the capsules in medicine containers to deceive inspectors." The pills, which are taken by people who believe they may help increase stamina, for rejuvenation or by terminal cancer patients, are made of powder made from dried fetuses or dead babies, the customs office told the Korea Times. More than 35 cases and more than 17,000 pills have been found by customs authorities since August of last year, the South Korean website Dong-A Ilbo reported. South Korea's crackdown comes after a documentary called "Lee Yeong-don’s Food X File" aired in April 2011, describing the smuggling of the capsules as well as harmful effects of the pills. The documentary claimed that tests done in South Korea and by KCS showed that the content of the pills they received was "99.7 percent identical with humans," China Daily reported. The documentary team went to China, where they found and shot video of a hospital that sold materials, according to China Daily. Chinese officials said they have strict rules forbidding the sale of placentas or any medical waste. 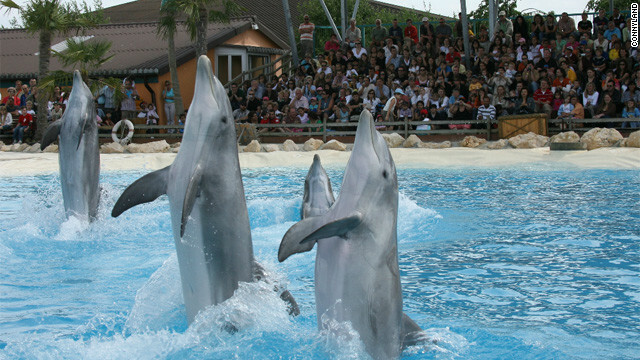 The Ministry of Health began investigating the issue after the documentary. "Since human flesh capsules are confirmed to contain ingredients lethal to humans, including super bacteria, we will preemptively curb their smuggling at borders to protect public health," a customs official told Dong-A Ilbo. The website reported the capsules were being smuggled from northeastern China after requests from buyers in South Korea. But now, Korean officials said, they will be putting in effect a significant number of measures to try to stem the smuggling of the pills. Customs officials will be even more diligent in checking belongings of international travelers as well as global mail, Dong-A Ilbo reported. That includes opening packages and "checking all capsules and powder made from unknown substances" and labeled drugs that come from China. The Obama administration is aware of a video of an American hostage urging the president to meet al Qaeda demands so he is not killed, a senior State Department official said Monday, but added that the United States "does not negotiate" for hostages. Warren Weinstein, 70, makes the emotional to President Barack Obama in a video released on several Islamist websites Sunday. "My life is in your hands, Mr. President," Weinstein says in the video. "If you accept the demands, I live. If you don't accept the demands, then I die." Weinstein, a development consultant, was abducted in August from his home in the Pakistani city of Lahore. In December, al Qaeda claimed responsibility for his capture. Capt. Bruce Kevin Clark died on May 1 while serving in Tarin Kowt, Afghanistan, about 85 miles north of Kandahar. 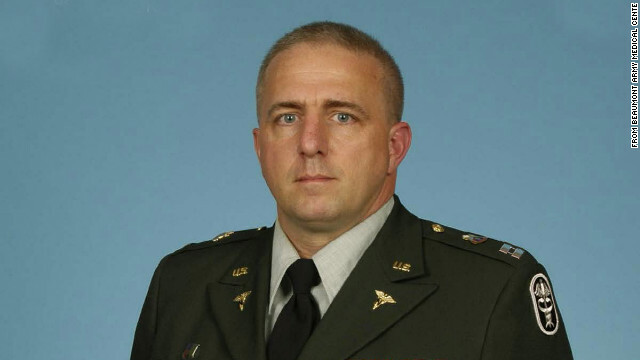 Military investigators said Monday that they do not suspect foul play in the death of an Army captain who suddenly collapsed during a video chat with his wife. Capt. Bruce Kevin Clark, 43, was using the video chatting service Skype to speak with his wife, Susan Orellana-Clark, on April 30 when he suddenly slumped forward and collapsed. He was dead when military personnel arrived two hours later. Orellana-Clark said in a statement Sunday that she saw what appeared to be a bullet hole on the wall behind her husband after he collapsed, leading to speculation he had been shot. While the cause of Clark's death is not yet known, investigators have ruled out a gunshot, Army Criminal Investigation Command spokesman Chris Grey said in a statement. Hang-gliding enthusiasts gathered at the site of a fellow flier's death over the weekend as witnesses recalled the last words the victim's boyfriend yelled during her deadly flight over British Columbia. Lenami Godinez-Avila, 27, was on her first flight on a hang glider on April 28, when she fell 1,000 feet to her death in a forest clearing near Agassiz, British Columbia. Fellow hang glider pilots, most of whom had never met the woman, got together in the clearing on Saturday, erecting a cross and planting a cherry tree as a memorial, Canada's CTV reported. "We embraced her as our own, and so because of that, the deep sorrow is like losing someone close to us," said a tearful Jason Warner, a safety officer for the Hang Gliding and Paragliding Association of Canada. Meanwhile, Nicole McLearn, a witness to the accident, told Post Media News in Canada that Godinez-Avila and her boyfriend were "joyous" as they watched other hang gliders take to the air that Saturday. Another witness, Frederic Bourgault, said Godinez-Avila flashed a big smile as she prepared for the tandem flight with instructor William Jonathan Orders. Both witnesses said as Orders and Godinez-Avila ran for their takeoff, something looked wrong, according to the Post report. “Oh, she’s hanging low,” Bourgault told the Post he said out loud. McLearn thought their silhouettes "didn't look right," according to the report. McLearn told the Canadian Broadcasting Corp. that when the glider was in the air, Godinez-Avila appeared to be wearing her harness, but it wasn’t attached to the glider. "He was horizontal but she was now hanging vertically, and it looked like in essence she had him in a bear hug around the chest area," McLearn told the CBC. "I could see her starting to slip down his body ... past the waist, down the legs. Finally she got to the feet and tried to hang on and obviously couldn't hang on for that much longer and let go, tearing off the tandem pilot's shoes in the process," McLearn said. Back at the launch site, Godinez-Avila's boyfriend watched her fall, according to the Post report. “Lenami! Hang on! I love you!” he screamed, the Post reported. She was in the air about 30 seconds before she fell. After the flight, Orders was arrested and charged with obstructing justice. Police say he swallowed a memory card possibly containing video of the fatal accident. He was granted bail on Friday after posting bond of 5,750 Canadian dollars, said Neil MacKenzie, communications counsel with the province's criminal justice branch. The recording has since passed and is now in police custody, MacKenzie said. He declined comment on whether anything retrievable could be taken from the card. Orders is expected to be released from custody on Monday, CTV reported. Lockheed Martin has launched an offensive to combat complaints from pilots who have refused to fly its F-22s over concerns about oxygen deprivation while in the cockpit. The company took its campaign to the skies - er, Twitter - to try to combat growing negative publicity about its Raptors. The Air Force has been looking into about a dozen unexplained incidents related to hypoxia, or oxygen deficiency, with pilots but has been unable to pinpoint the cause, Air Combat Command has said. 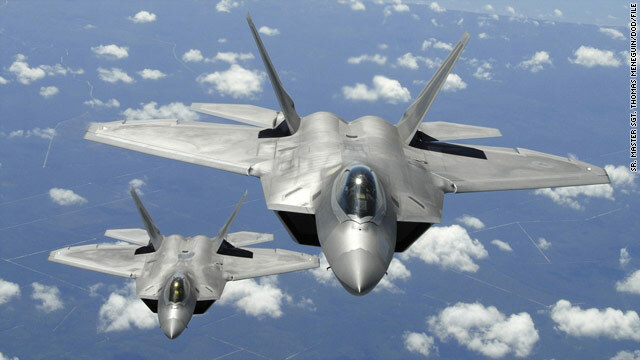 Some pilots have come forward to say they won't get in the F-22s until the problem is solved. Pilots began experiencing problems about four years ago. “For some reason, the onboard oxygen generating system and the environmental control system that feeds it may be inputting some contaminant,” Gen. Gregory Martin, a retired Air Force veteran, told CNN affiliate WAVY in Virginia. For a while, the problem was the subject of only a spattering of media reports, but Lockheed Martin went on the offensive (or defensive, depending whom you ask) by launching a Twitter campaign praising the fleet as "60 Minutes" aired a segment on the problems with the Raptors and interviewed decorated pilots who were refusing to fly them. Violence raged in Afghanistan over the last 24 hours, with reports of civilian deaths in an airstrike and soldier deaths in a bombing. 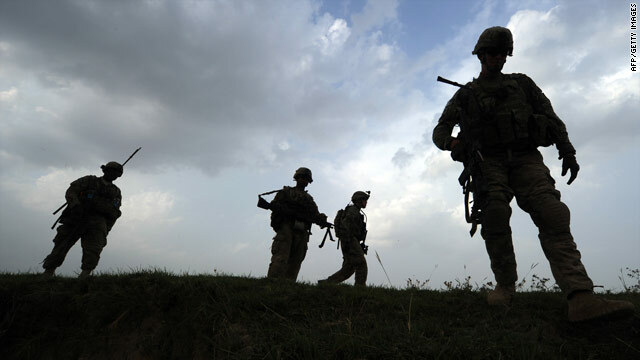 At least 14 civilians were killed and six others were injured Sunday in a coalition airstrike in Badghis province in the northwest, a senior Afghan police source said. NATO's International Security Assistance Force said an airstrike in the province killed three insurgents. "We are aware of and are looking into the reports of civilian casualties," said Lt Col Jimmie Cummings, a spokesman for the NATO-led force. Michael Phelps swims in the 100-meter butterfly event during the 2012 Indianapolis Grand Prix in March. U.S. swimmer Michael Phelps says he'll make one more push in the pool at the Olympics in London this summer, but after that he's hanging up his Speedo. Phelps told Anderson Cooper in an interview on "60 Minutes" on Sunday that while it took him quite some time to get back into training for London, he's ready to go for the gold again. If he can get three medals during the Summer Olympics he will be able to retire as the athlete with the most Olympic career medals. Debbie Phelps, Michael's mother, still likes the idea of him going to Rio de Janeiro for the 2016 Olympics, in part because she wants to travel there. His consolation for her: "We'll go watch." "Once I retire, I'm retiring," he said on "60 Minutes." "I'm done." His coach, Bob Bowman, said he wasn't sure Phelps would even get to the Olympics. After a series of paparazzi photos showed the Olympic golden boy partying and Phelps slacked on practicing, everything was up in the air. "I thought it was a 50-50," Bowman said. "I really didn't have a feel for whether he would come back or not come back." In the fall of 2009, Bowman said, Phelps probably missed six weeks of practice. Phelps said he took a trip to Vegas, lounged around the house, played video games and did anything to distract himself from the pool. "It was hard, because I didn't know if the passion or the fire was still inside of me," Phelps told Cooper. "And it took awhile for me to actually realize it myself. Bob couldn't tell me, my mom couldn't tell me. They couldn't help me find it." 1:00 pm ET - White House briefing - The elections in France and Greece are sending shockwaves through stock markets around the world. How will the U.S. react to these new developments? Press Secretary Jay Carney will likely discuss the results during his briefing. 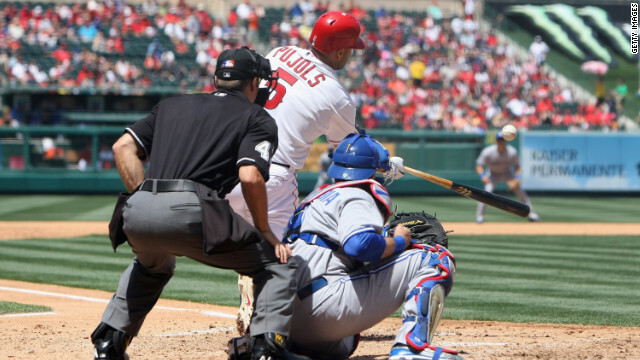 Albert Pujols hits his first home run of the season for the Los Angeles Angels on Sunday in Anaheim. Sunday was a triple play of surprises in Major League baseball. First, Albert Pujols homered. No surprise for someone who's hit 446 home runs in a 12-year career, you say? Well, Pujols' homer was his first as a player for the Los Angeles Angels and his first in 110 at bats, a career-long homer drought for the former St. Louis Cardinal who signed a 10-year, $240 million contract with the Angels during the winter. The two-run blast ended up accounting for the winning runs as the Angels beat the Toronto Blue Jays 4-3 in Anaheim, California. "I'm blessed that I had the opportunity to do it here in front of the fans," said Pujols after the game, according to a report in the Orange County Register. "They were being patient and waiting until the last couple of days, when I heard some boos. ... I was not performing the way everyone was expecting." Teammates congratulate Washington Nationals outfielder Bryce Harper after he stole home on Sunday. While Pujols was finally winning over Angels fans, rookie outfielder Bryce Harper was continuing to delight Washington Nationals fans. The 19-year-old Harper stole home in the first inning against the Philadelphia Phillies, becoming the first teenager to steal home in a Major League game since 1964, the Washington Post reported. It was also Harper's first stolen base in the big leagues. It came after Phillies pitcher Cole Hamels hit Harper with a pitch to put him on base. Harper advanced to third on a Jason Werth single before swiping home. Hamels admitted later he hit the rookie on purpose. "I was trying to hit him," Hamels said, according to a report on MLB.com. "I'm not going to deny it. That's just ... something that I grew up watching, that's what happened, so I'm just trying to continue the old baseball. I think some people kind of get away from it." And Harper seemed to be OK with that. "He is a great guy, great pitcher, he knows how to pitch, he is an All-Star. It's all good," Harper was quoted as saying on MLB.com. In the end, Hamels and the Phillies won 9-3. Baltimore Orioles players celebrate after completing a 17-inning victory over the Boston Red Sox on Sunday. And Sunday's third surprise came during the 17-inning marathon between the Baltimore Orioles and Boston Red Sox at Fenway Park. The winning pitcher in the six-hour, seven-minute marathon was Baltimore first baseman Chris Davis, who hadn't pitched in any competition in six years, when he was in junior college, according to the Baltimore Sun. Davis took the mound in the 16th inning after the Orioles had used seven other relief pitchers in the game. He gave up two hits, struck out two and walked one in two innings, picking up the victory when Adam Jones hit a three-run homer in the top of the 17th. “I'm like, sweet,” Davis said, according to the Sun report. “I get to try something different today because hitting ain't working.” Davis was hitless in eight at-bats in the game. He struck out five times. And if that's not strange enough, the losing pitcher, who gave up Jones' homer, was Darnell McDonald, a Red Sox outfielder forced to pitch when the Red Sox depleted their relief corps. U.S. Secretary of State Hillary Clinton on Monday applauded India's efforts to reduce its imports of Iranian oil but urged it to cut them further to keep pressure on Tehran over its nuclear program. "We think India as a country understands the importance of trying to use diplomacy to resolve these difficult threats and is certainly working toward lowering their purchases of Iranian oil," Clinton said in Kolkata, the first stop on her visit to India. "We commend the steps they've taken thus far and hope they will do even more." The United States and other Western countries are using economic pressure on Iran, particularly on its oil industry, to try to push Tehran into halting its nuclear program. They have encouraged Asian countries like India, Japan and South Korea - key consumers of Iranian oil - to cut back their purchases. U.S. officials say India has lowered the amount of oil it buys from Iran in recent months. But Prime Minister Manmohan Singh's government is also wrestling with stubbornly high inflation and is wary of provoking upward pressure on prices. Greece's center-right New Democracy party looks set to get the first chance to form a new government Monday, but party leader Antonis Samaras will have a complicated task after an election where angry voters punished politicians for backing harsh government budget cuts. No party is likely to have anything approaching a majority, leaving the politically and economically volatile nation even more in flux. The Greek stock market plunged about 7% Monday morning as the final votes from Sunday's election were being counted. With 97% of votes counted early Monday by the interior ministry, New Democracy - part of the present ruling coalition - finished first with 19% support to capture 109 seats. That figure is barely half the percentage that it won in elections in 2009 and well short of what party leader Samaras admitted it hoped for entering this weekend. An Indiana mother who sent her gay son to school with a stun gun after administrators apparently didn't do enough to stop the bullying against him said she would do it again - even though the teen now faces expulsion. A 70-year-old U.S. citizen kidnapped in Pakistan last year has made an emotional plea to President Barack Obama to meet al Qaeda's demands in order to save his life, according to a video released on several Islamist websites Sunday. "My life is in your hands, Mr. President," Warren Weinstein said in the video. "If you accept the demands, I live. If you don't accept the demands, then I die." Weinstein, a development consultant, was abducted in August from his home in the city of Lahore. In December, al Qaeda claimed responsibility for his capture. Ayman al-Zawahiri, leader of the terror network, listed eight demands that he said, if met, would result in Weinstein's release. The demands related to issues in the Middle East, Pakistan, Afghanistan and Somalia. "It is important that you accept these demands and act quickly and don't delay," Weinstein said in the video posted Sunday. He made references to Obama's daughters and to his own children.